Three Tornado aircraft have been flying in formation across the UK as they stage a series of farewell flypasts. The warplane, now based at RAF Marham in Norfolk, is being retired after 40 years of service. 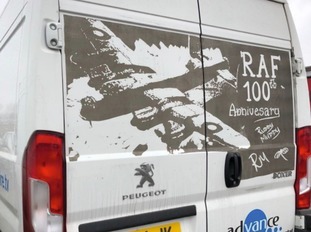 The ceremonial flypasts have been taking across across the country over three days with crowds turning out to see the planes in the skies over military bases across Britain. On Wednesday the planes flew over Honington in Suffolk, the Imperial War Museum at Duxford along with Bedford and Cranfield in Bedfordshire. Three days of final flypasts by the Tornado aircraft will begin today. Britain's new F-35 Lightning stealth fighter jets are expected to touch down in the UK in June and will be based at RAF Marham in Norfolk. The US Air Force has warned people living in East Anglia to expect to hear more jets in the sky that usual next week. The 48th Fighter Wing based at RAF Lakenheath in Suffolk will take part in an increased number of flying operations. It is part of a training programme to make sure aircrew and ground support staff are ready for action. The airbase said the operations would not involve any low-flying aircraft. 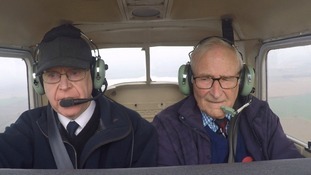 John Hyde spent 40 years in the RAF - but without ever getting the chance to fly. Now, aged 84, he has finally fulfilled that ambition. 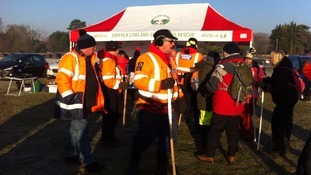 Search teams waiting to begin on Sunday morning. Credit: ITV News Anglia. A huge search team including dogs and a drone are continuing the hunt for missing airman Corrie McKeague. The 23-year-old, who is based at RAF Honington in Suffolk, disappeared after a night out in Bury St Edmunds in September 2016. It is thought he may have attempted to walk back to his barracks 10 miles away and extensive searches have been carried out along the route. 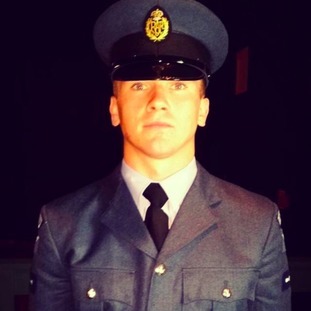 Airman Corrie McKeague has been missing since September. Credit: Facebook. Today's search will focus on an area close to the Fiveways junction of the A11 near Mildenhall. Mr McKeague's family, including his mother Nicola Urquhart, are among those searching along with 40 members of the public. They will join the 60-strong search team from Suffolk Lowland Rescue Service as well as four search dogs trained to seek out human remains. Reconstruction of attempted abduction of an RAF Marham serviceman will feature on BBC's Crimewatch programme tonight. The future of RAF Mildenhall will be discussed at a series of meetings to find out how local people would like to see the site used. The Queen on her way to West Raynham in 1973. Credit: PA.
People in North Norfolk are to get their say on plans to develop an old airfield there. Plans for 500 new homes and offices at the former RAF West Raynham site have been submitted to the council. The consultation lasts until 14th December.